Isabel Archer, a beautiful, intelligent, and headstrong American girl newly endowed with wealth and embarked in Europe on a treacherous journey to self-knowledge, is delineated with a magnificence that is at once casual and tense with force and insight. Brought up in poverty, Hyacinth has nevertheless developed aesthetic tastes that heighten his awareness of the sordid misery around him . He is drawn into the secret world of revolutionary politics and, in a moment of fervour, makes a vow that he will assassinate a major political figure. 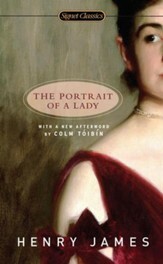 In The Bostonians, Henry James tackles one of the burning questions of his time... the 'woman question.' The story settles on a competition to win over the love of Verena Tarrant between Basil Ransom and Olive Chancellor. This is one of James' more humorous novels and explores the idea of feminism and human possession. Christopher Newman, a "self-made" American millionaire in France, falls in love with the beautiful aristocratic Claire de Bellegarde. Her family, however, taken aback by his brash American manner, rejects his proposal of marriage. When Newman discovers a gulity secret in the Bellegardes' past, he confronts a moral dilemma: Should he expose them and thus gain his revenge? 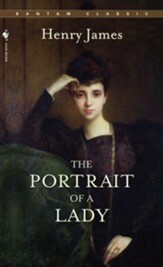 James's masterly early work is at once a social comedy, a melodramatic romance, and a realistic novel of manners. By the 1890s, his own middle years, James was feeling particularly depressed by his lack of a sizeable, responsive audience in what he called 'an age of trash triumphant'. These stories, several of them elaborate Jamesian games, are all concerned with the art of fiction and the position of the artist in society. Roderick Hudson, egotistical, beautiful and an exceptionally gifted sculptor, but poor, is taken from New England to Rome by Rowland Mallet, a rich man of fine sensibilities, who intends to give Roderick the scope to develop his genius. Together they seem like twins or lovers, opposing halves of what should have been an ideal whole. From the apparitions of evil that haunt the governess in The Turn of the Screw to the startling self-scrutiny of an egotistical man in The Beast in the Jungle, the mysterious turning of human behavior are skillfully and coolly observed--proving Henry James to be a master of psychological insight as well as one of the finest stylists of modern English literature. The five titles are: The Turn of the Screw; Daisy Miller; Washington Square; The Beast in the Jungle; and The Jolly Corner. Only she can genuinely appreciate, and perhaps eventually share, Mrs Gereth's own passion for the exquisite antique treasures she has amassed at Poynton Park. Her son Owen, though, has engaged himself to be married to the embarrassingly nouveau philistine Mona Brigstock. A dramatic family quarrel unfolds, drawing Fleda, James's hesitating heroine, into its heart. Why is it that Fleda seems to be incapable of capturing Owen, remaining silent while her love for him is so evidently returned? Is she motivated by scruple or perversity? Is hers a true renunciation or a dilemma springing from sexual ignorance or neurosis? Readers who follow this drama to its surprising climax are likely to agree with David Lodge, who argues, in his introduction, that the beauty of The Spoils of Poynton lies in its apparently irreducible ambiguity. In these essays on travels in Italy written from 1872 to 1909, Henry James explores art and religion, political shifts and cultural revolutions, and the nature of travel itself. 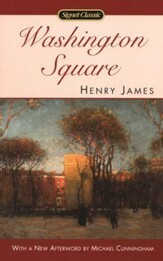 James's enthusiastic appreciation of the unparalleled aesthetic allure of Venice, the vitality of Rome and the noisy, sensuous appeal of Naples is everywhere marked by pervasive regret for the disappearance of the past and by ambivalence concerning the transformation of 19th century Europe. A lively introduction and extensive notes illuminate the surprising differences between the historical, political, and artistic Italy of James's travels and the metaphoric Italy that became the setting of some of his best-known works of fiction. This edition includes an appendix of James's book reviews on Italian travel-writing. 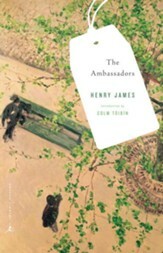 Henry James's story of a pair of adulterous lovers who are married, respectively, to a rich American collector of European art and to his inexperienced daughter, provides - beyond its expensive, burnished, beautifully appointed exteriors - an understanding of the risks and betrayals inherent in society that is unparalleled in literature. The Golden Bowl, his last published, novel written in the first years of the twentieth century, represents a culmination not only of its author's magnificent art, but also of the art of fiction itself.